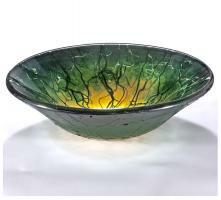 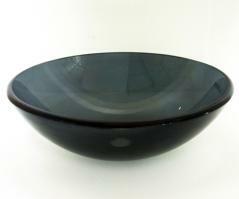 The solid dark tone of the exterior of this round tempered glass sink vessel turns into an amazing colorful design on the interior of the bowl. 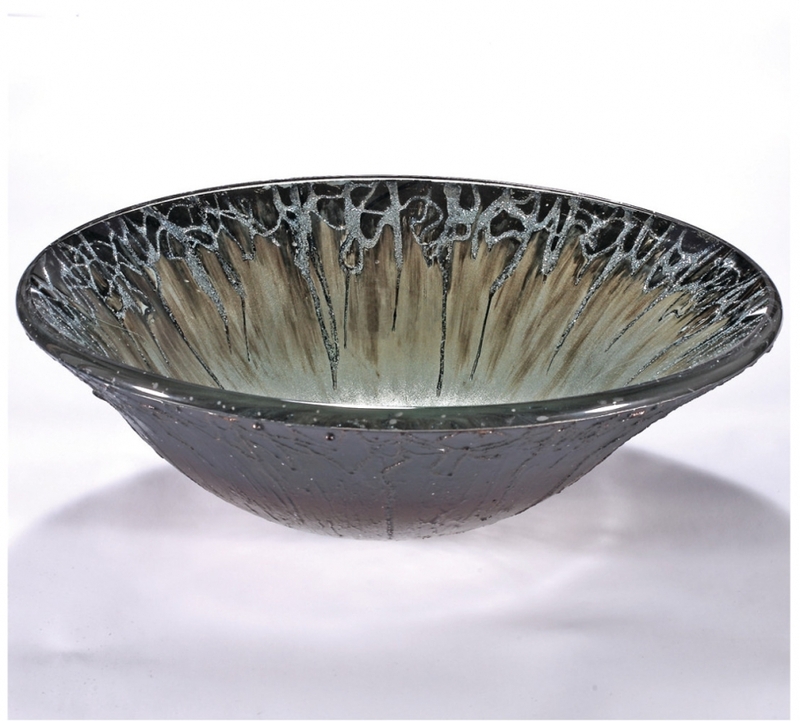 A wavy line of silver goes around the upper edge, while a dark brown tone drips down into the lighter shade in the depth of the bowl. 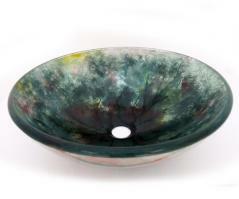 This piece will make a great addition to the bathroom and provides functionality as well.